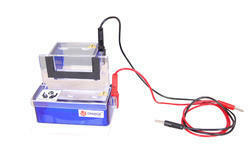 Prominent & Leading Manufacturer from Chennai, we offer mini vertical paper gel electrophoresis unit, midi dual vertical gel electrophoresis unit (sds - page apparatus), g-run vertical mini dual gel electrophoresis system, maxi vertical gel electrophoresis unit (sds - page apparatus), mini vertical gel electrophoresis unit (sds - page apparatus) and mini dual vertical gel electrophoresis unit (sds - page apparatus). 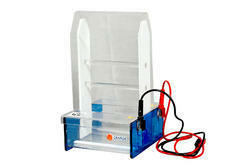 Buffer Volume : 200mlNo.of Strips : 2 Nos. Paper Supporting Rod : 2 Nos. Dual Gel caster : 1 No. No.Gel Caster System : 1 No. 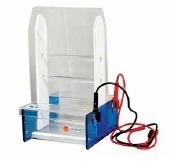 Gel Casting System : 1 No. 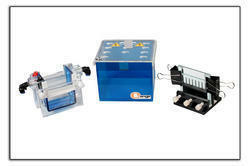 Gel Casting System : 2 Nos. No.of Strips : 3 Nos. Paper Supporting Rod : 3 Nos. 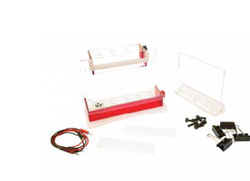 Looking for Vertical Gel Electrophoresis equipments ?